Asparagus is a great, if not often overlooked, vegetable for grilling. Their length helps substantially since as long as you keep them perpendicular to your grill grates, they're easy to handle on the grill. They have great flavor by themselves, but grilling them kicks the flavor up a notch and adding Chain Reaction™ always helps (in our humble opinion). Make sure you trim the "woody" ends off the asparagus before you start (nobody wants to eat what has the texture of shrubs) and start with dry asparagus too so the thin coating of oil sticks to the asapargus and allows the Chain Reaction to stock too. Other than that, get grilling and Spice Confidently! Trim the woody ends off the asparagus. Starting with dry asparagus, lay the asparagus flat on a cookie sheet and spray with olive oil or, if you don’t have an olive oil sprayer, drizzle lightly and then roll the asparagus to coat lightly. Sprinkle the asparagus with Casa M Spice Co™ Chain Reaction™ or Uncontrolled Chain Reaction™ (lightly sprinkle with salt if using Uncontrolled Chain Reaction™). Move the asparagus onto the grill and cook. Look for char on the asparagus, then using tongs, roll the asparagus to evenly cook. Once rolled, sprinkle the asparagus again with Chain Reaction™ or Uncontrolled Chain Reaction™ (again, lightly sprinkle with salt to taste if using Uncontrolled Chain Reaction™). 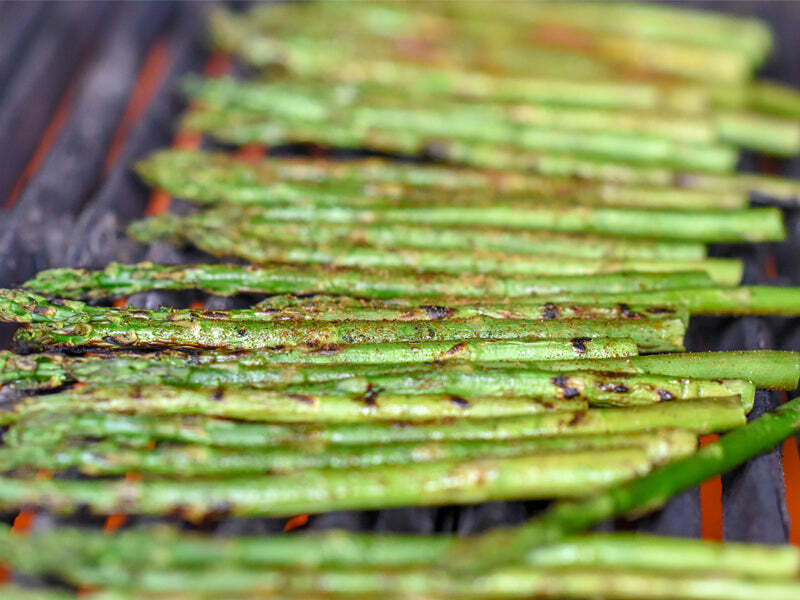 Remove the asparagus from the grill and serve immediately.